Fastpath's newest feature for NetSuite is the NetSuite Security Designer. The Security Designer will help if you are struggling with NetSuite security, or looking to see segregation of duties conflicts in NetSuite before assigning permissions. If you are looking for an easier way to do NetSuite security role design, look no further. The tool provides the ability to model changes to your NetSuite security roles and analyze potential risk before you deploy those changes within your NetSuite environment. This allows your organization to have greater confidence in any possible conflicts and effects, prior to making the change. 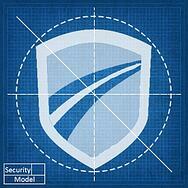 Every security model consists of a collection of NetSuite roles. Each role will consist of subsidiaries, users, and permissions that are assigned to that role. When creating a new security model, you will start with the collection of NetSuite roles that have been loaded into Fastpath Assure. You are easily able to delete existing roles and create news within the tool. When creating a new role, you must also specify a name for said role. Once created, the new role will be added to the existing list of roles. If you choose to select an existing role, the components of said role will be displayed. You can remove and add role components, as well as changing permissions by adjusting existing access levels (view, create, edit, or full). Once you have finished making your changes, click the ‘Save’ button to save the security model and begin the analysis. Once a security model has finished the analysis and moved to status #3 – Ready – you can view the results of the analysis. Once you are finished making changes and satisfied with all results of the analysis, it is then time to return to your NetSuite environment to apply the changes. You then change the status in Fastpath Assure to deployed to indicate they are live in your NetSuite environment. When making changes to your NetSuite environment, it is critical to analyze and address any possible risks before going live. Our new tool makes that process quick and simple for your organization. For more information on this tool, please reach out to us today.